The next four weeks will determine whether the Prospect will be able to build on its 22-year legacy of influence or whether it must retrench or even close. Between now and May 31, the Prospect must raise $500,000 and have $700,000 of additional support pledged for the new fiscal year that starts in July. If we do not find those commitments, the Prospect as we’ve known it will cease. This is real. And the stakes are high. As we entered the current fiscal year, The American Prospect and its sister organization, Demos, took a calculated risk. We increased the Prospect’s budget to expand our reporting, improve the web site, build our reach through social media, and better exploit new digital channels. Though the Prospect has never had an “angel” backer or a funding board to backstop financial shortfalls, we took that risk because the times were demanding it, because the staff of the Prospect needed the tools to really make it shine, and because we believed that we could find new support to pay for those improvements. In many important ways that risk has paid off. More Americans are seeing the Prospect’s work than ever before. 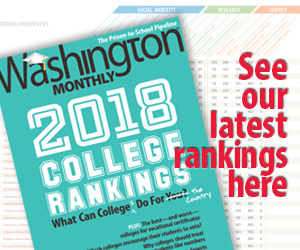 Through the web site, the print and digital editions of the Prospect magazine, the work of our social media team and the appearances by our writers, editors and stories on TV and radio, the Prospect has been a nerve center for progressive thought, a unique and influential source of new reporting. We are even more excited about the future. The proliferation of new technological platforms and tools is a boon to independent media, and we have already begun to put in place the changes that will allow us to continue publishing and expand our digital reach on a slimmer budget without sacrificing quality. But the additional financial backing we counted on has not yet come through, and we are now solidly in the red for the fiscal year that ends June 30. We have been working hard, if behind the scenes, to raise the additional funds we need, but now we feel we must “go public” with the need and the stakes. I don’t know about you, but I check out the Prospect site several times a day, and link to it often. It’s where I can find great young writers like Gabriel Arana, Jamelle Bouie and Abby Rapoport, and long-standing, reliable favorites like Paul Waldman and Gershom Gorenberg. As you may know, TAP shares with the Washington Monthly a proud history as an incubator of journalistic talent. It would be a tragedy–an avoidable tragedy–to see it fold. So I hope you’ll answer TAP’s fundraising appeal, and more than that, show the publication some love as well as money. Its people, and its legacy, have earned it.